I’ve always wanted to do a fairy-tale retelling, so this is my attempt at one. I really like the protagonist in this one, and the band of outriders he’s part of in this story. CONTEST: A free ebook for the first person in the Comments to name to fairy tale I’m retelling here…! After the short, lopsided battle, as the younger warriors hauled the dead bandits out of the old castle, the man known only as Seeker carried a bottle of dark wine over to where the outrider known only as Fist sat, alone. 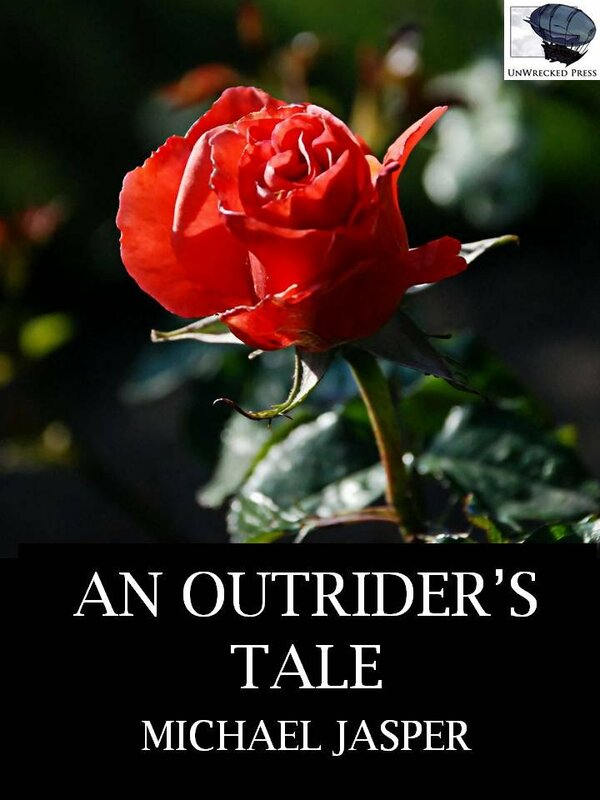 Though the Code forbade him to ask the history of another outrider, Seeker needed to know the man’s story. Now that the fighting was over, his goal was to loosen the tongue of the big, scarred man. Night had fallen, yet the moon shone brightly through holes in the ruined roof of the tower. Seeker’s eyes had been trained, in his first life, to see perfectly in pitch-black night, but when he stepped up next to where Fist rested, he doubted what his eyes saw. The big man was cradling in his hands a perfect red rose. Seeker turned to leave, chiding himself for even approaching the other man. He would drink his bottle of wine by himself and try to forget the way Fist cradled the rose in his hands like an tiny animal. He looked down at Fist again. The rose had disappeared. Fist stared at Seeker so long with his mismatched eyes, one brown and one blue, that Seeker nearly let the bottle slip from his fingers. “Will you join me?” Fist said. Fist took the bottle and removed the cork. After a long drink, he grunted with appreciation. Seeker cast his gaze around the darkened tower, hoping none of the others had overheard. Something shifted high above him, at the top of the ruined tower. “Would you try to stop me if I attempted to tell you anyway?” Fist’s mismatched eyes glittered in the moonlight. Seeker felt a chill fall over him. Out of the corner of his eye he caught movement above them, inside the castle proper. But when he turned to look closer, the movement was gone. “Of course not,” he said, motioning for the bottle. Half of the other outriders had pulled out their sleeping rolls and settled in for the night in the newly-cleaned tower, though three others, like Fist and Seeker, remained sleepless. Nice work on naming the fairy tale I was reworking here, Uncle Don!